The Tesla Model 3 is becoming more and more commonplace in the United States. With its ubiquity, the electric sedan is now being spotted rather frequently in drag races, just like its larger siblings — the Model S and X. And just like the Model S and X, the Model 3 is also gaining a reputation for being a serious contender in straight-line races. One such Model 3 recently made an appearance in a drag strip meet at the SDCCU Stadium in San Diego, CA, where it battled several vehicles including muscle cars, souped-up imports, and even a couple of roaring SUVs in intense 1/8-mile races. 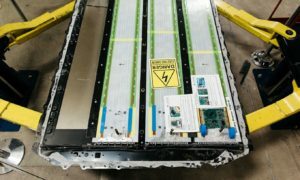 Just like a mysterious blue Model 3 that dominated a series of drag races earlier this year, the exact trim of the stealthy red electric sedan that competed in the recent event was not announced. 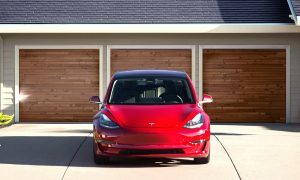 Based on how well the vehicle performed and how it beat its opponents, though, the car was likely a Model 3 Performance or a Long Range Model 3 AWD. 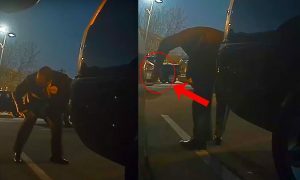 The vehicle in the video, which was uploaded on YouTube’s auto-themed 7zerex channel, did not have a Dual Motor badge or a carbon fiber rear spoiler. The electric sedan did not seem to be equipped with red brake calipers as well, as could be seen from the gaps of its aftermarket wheels. That said, the Model 3 was also fitted with what appeared to be 20″ Michelin Pilot Sport 4S wheels, which were released for the Performance variant. The electric sedan battled numerous fossil fuel-powered vehicles during its drag racing session. Included among the Model 3’s opponents were a muscle car and several tuned imports, all of which were thoroughly dominated by the electric sedan. Only one vehicle was able to give the Model 3 a run for its money in the uploaded video — an SUV that seemingly managed to beat the electric car off the line. At the midpoint of its race with the SUV, though, the Model 3 appeared to have caught up with the gas guzzler. 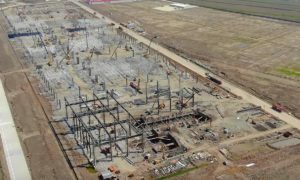 Since the vehicle’s release, the Model 3 has been proving itself as a vehicle capable of performing well both on the drag strip and on the track. Over the past few months, the Model 3 has battled several formidable vehicles like the McLaren 570S, and it was able to hold its own very well. 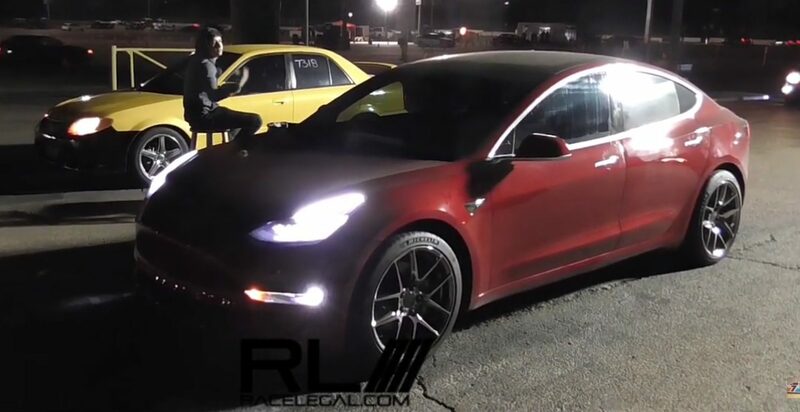 In another RaceLegal.com-sponsored event, a Model 3 Performance actually managed to outrun a Dodge Demon in a 1/8-mile race — a feat that is incredibly impressive since the muscle car was designed to beat the Model S P100D, the Model 3 Performance’s larger, quicker sibling. When the Model 3 was unveiled back in 2016, Elon Musk candidly remarked that Tesla does not “make slow cars.” Considering the specs of the Model 3 that have been released so far, Musk’s statement definitely appears to ring true. Even the Mid Range Model 3 RWD — Tesla’s most conservative variant of the vehicle — has acceleration that is comparable to a muscle car, with its 0-60 mph time of 5.6 seconds and its top speed of 125 mph. 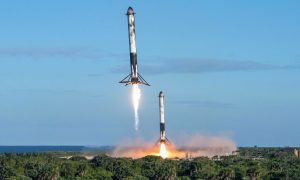 The two dual motor variants of the vehicle — the Long Range Model 3 AWD and the Model 3 Performance — are even more impressive, with the former having a 0-60 mph time of 4.5 seconds and a top speed of 145 mph, and the latter featuring a 0-60 mph time of 3.5 seconds and a top speed of 155 mph. Watch the stealthy Model 3 battle opponents in the video below.